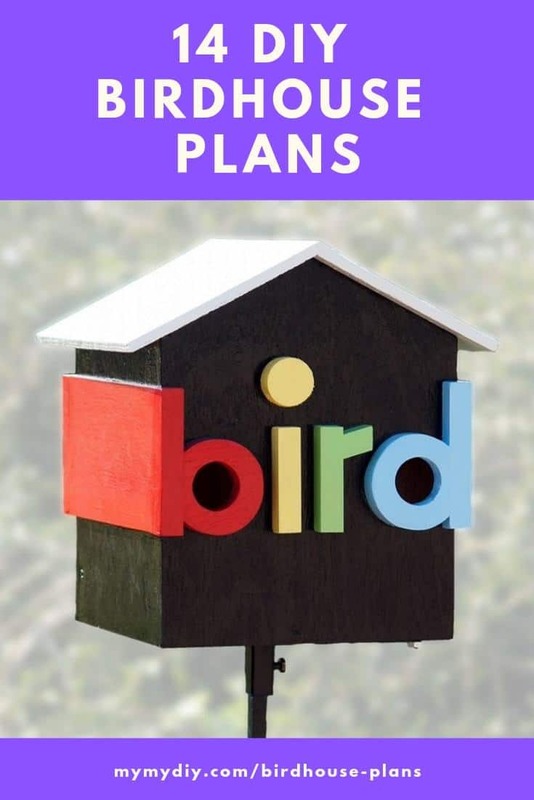 Are you someone who loves birds and has always dreamed of having them in your backyard? 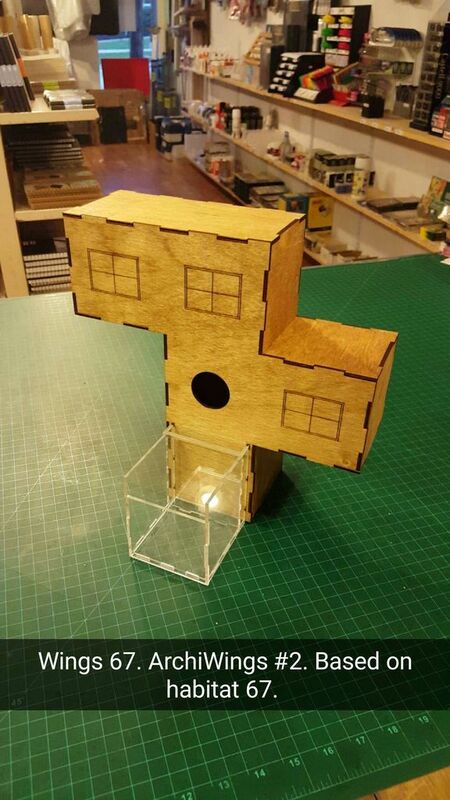 Then maybe you should consider making your own birdhouse for your yard as a fun Sunday activity. It does not take a lot of effort, time, and it won’t break the bank, either. You can have a great time with your children and make it a family activity. Here is a list of ideas that you can use regarding materials and design for building our own birdhouse. 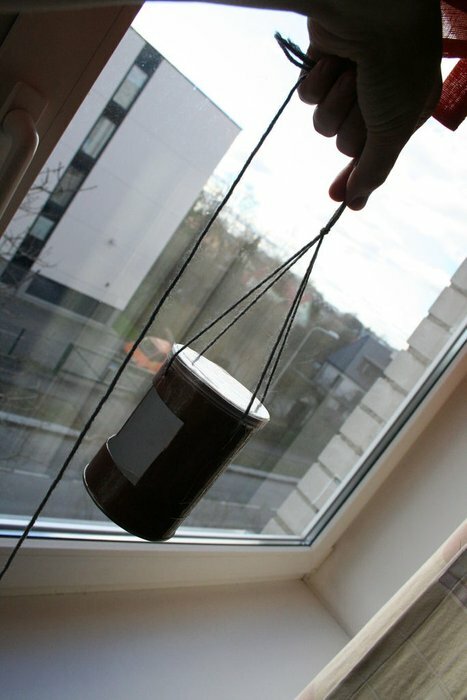 For this project, you will only need to use plywood, popsicle sticks, sticks that you use to stir coffee or hot chocolate, spline, beam, tar paper, mesh net, an OSB disk, lighting, scissors, wood glue, circular saw, drill, multi tool, dremel, sand paper, and nail clippers (or another material that you can use to cut the popsicle sticks up with). It is also recommended that you draw a sketch of the house you plan to build so that way you can get a better idea of what you are doing and so that you can save some time in the end. 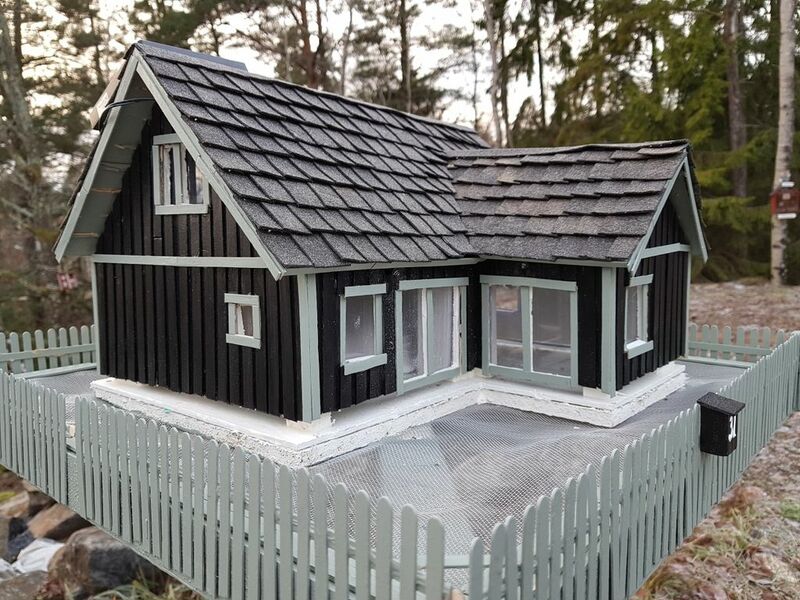 If you are someone that likes old, country style, you can have a miniature one in your own yard. The nice outdoorsy feel of a log cabin has a special vibe that makes one almost feel peaceful and at home. You have to find several patterns, print them out, and cut them up. Then, trace them onto the wood and cut the shapes out. Glue these pieces together. Gather logs, cut them up, split them, and glue those together too. Now what’s left is that you add details to the house you’ve built, such as drilling a small hole in the entryway. 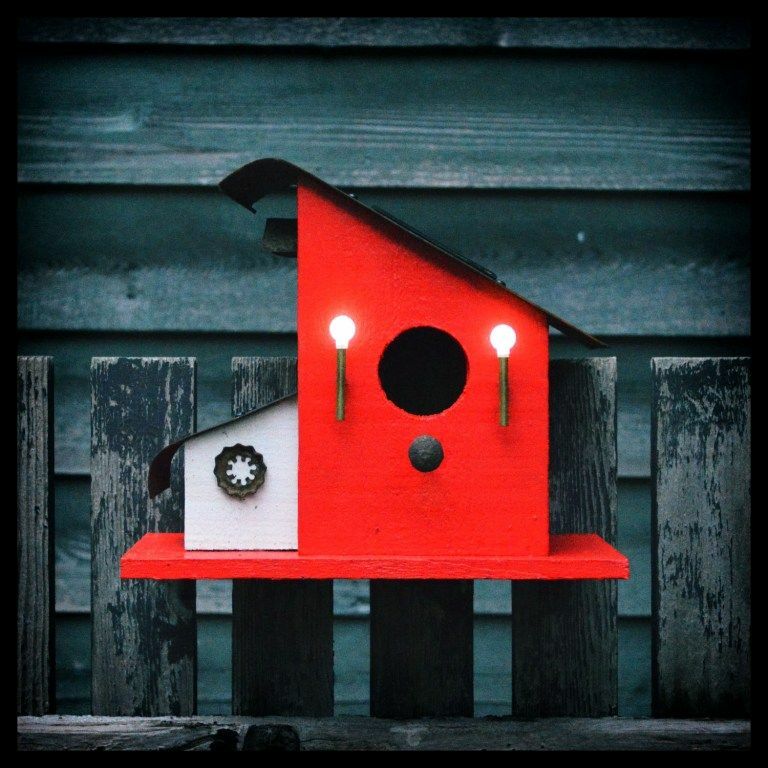 This is such a cute design to spruce up any birdhouse. You should get a voltage regulator so that the solar lights will work effectively, and to make sure that the lights only turn on at nighttime. They don’t need to be on during the day. And, the addition of these lights will attract bugs for the birds to eat. You can use any inexpensive solar lights for this project. The design for this project is based off of Habitat 67. Your materials will include a computer with AutoCAD, a laser cutting service, plywood, plexiglas, stain, polyurethane, wood glue, and a plexiglas adhesive. You will need to cut your plywood out with the laser cutter, sand the wood and stain it, and then use sandpaper for the edges. Once everything is all assembled, you are finished. This one will take a lot of time- it took the person who came up with these instructions about a week after working on it for 2.5 hours daily- but it is worth all the work for this unique idea. They used patterned fabric, felt, thread, scrap batting, scissors, sewing needles (or a sewing machine), an embroidery book for those who do not know how to do the stitches, patterns, and bells. This is a great idea for a gift as well. While this project is easy, it is not the most eye-catching. However, recycling is one of the best things you can do for the environment and this is a great way to ensure that you won’t have too many milk jugs laying around. You can use a milk jug, duct tape, scissors, sharpie, and a pencil (or long bolt). Cut out the bottom of the jug and tape all the pieces together. Here is another idea for a log house which will only require using branches and hand tools to complete. You’ll use a hammer, a hand saw, a tenon saw, a hatchet, a utility knife, blades, sticks, pallet wood, panel pins, polythene, chicken wire, staples, and glue. You will need to take the utility knife to remove all the bark from the sticks that you find. This is an idea that serves multiple purposes. You can either get cedar or you can use some leftovers that you might have from other projects. 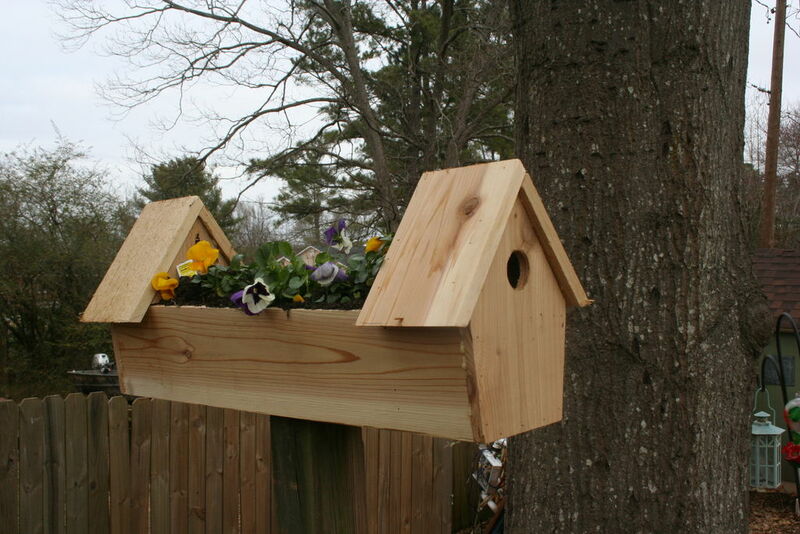 This entails creating two separate birdhouses- one on each end- and putting a planter in between for some cute plants. You’ll only need to use different lengths of cedar, finish nails, gorilla glue, and drill bits in order to complete this. 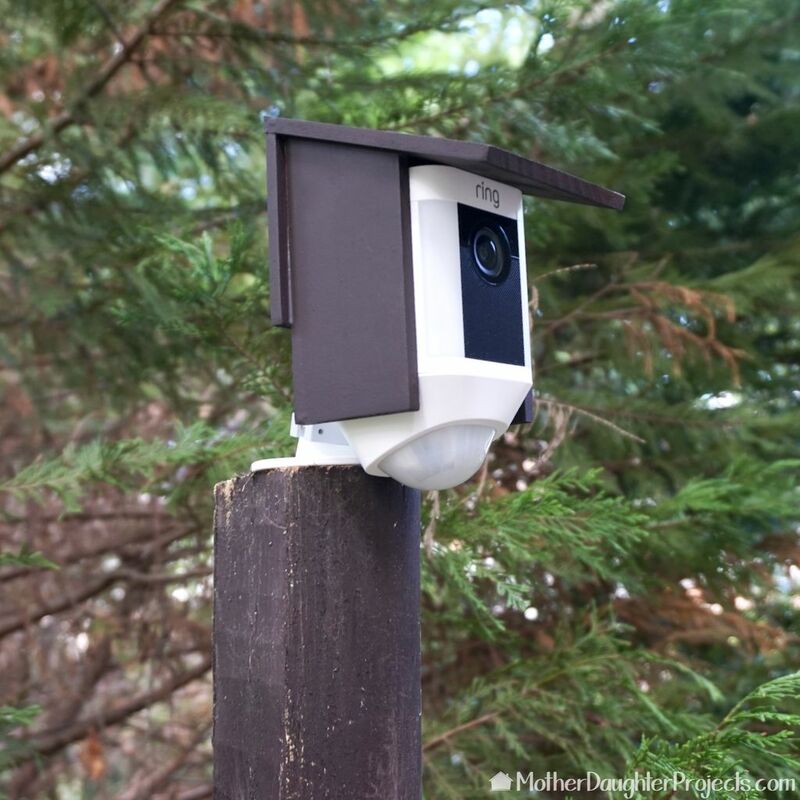 And here is a perfect way to disguise your home’s security system by building something that looks like a birdhouse as a cover for cameras. Aside from the cameras, you’ll need garden posts and poplar board. Cut everything to suit the measurements you have done, adjust the cameras into your structure, position the posts, and paint your finished product however you would like. Here is something that will take a lot of work and effort, including over 1,000 zip ties. But it is a unique project and something that is guaranteed to last, due to the fact that zip ties are known to be durable and flexible. You’ll need to get a lot of zip ties, create a CAD design and laser cut it, and attach the zip ties to all sides of your final product. 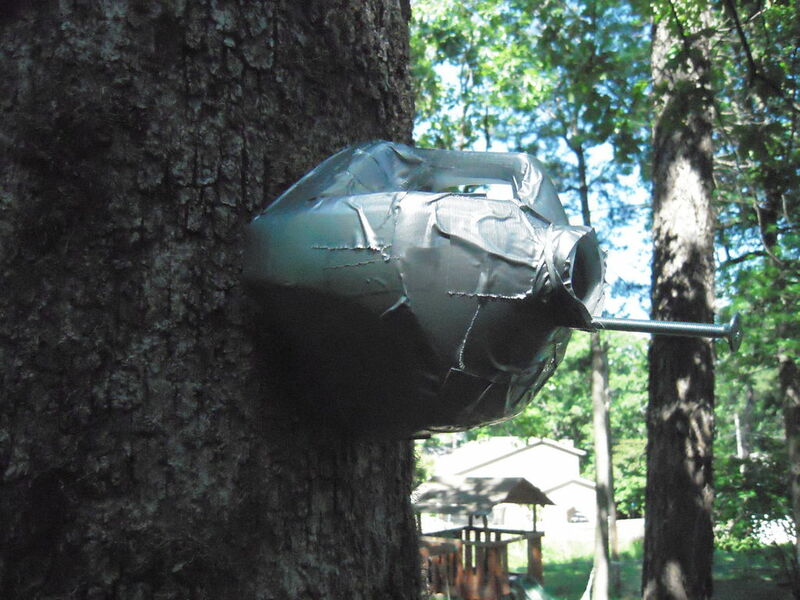 You don’t need to use glue for this, either, and use zip ties to hang the house up. Love Pringles? Now you can repurpose your empty cans! You won’t need to use a lot of materials for this, nor will it cost you a lot of time. Aside from the empty Pringles can, you’ll only need a kitchen knife, transparent tape, a needle, yarn, and cardboard. Draw the design you want to have on the Pringles can and cut it out. You can even make two separate houses using one can. Make sure that you have washed it as well before use. 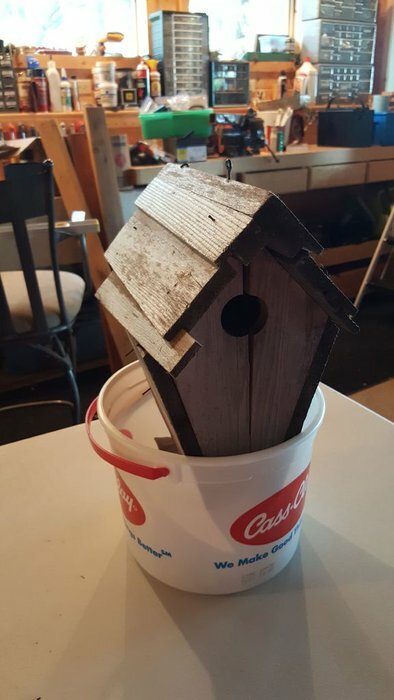 If you have an old birdhouse that you want to restyle, or one that has gotten damaged over time, then there are many ways for you to update it. You will need to disassemble the old one and repair or replace any pieces that have been damaged. Sand every piece in order to update the appearance of the wood, and put all the pieces back together. 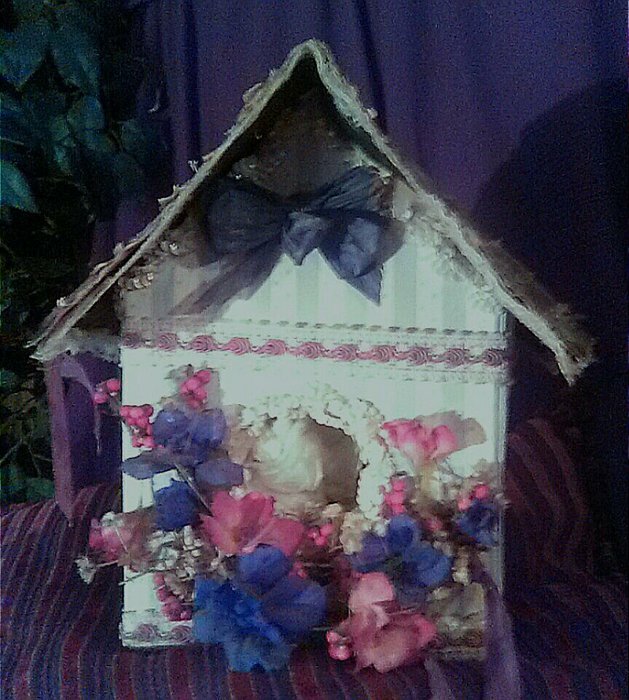 Decorate the house as you’d like and put it back in your backyard! All you will need for this project is an empty food carton, some wrapping paper, spray glue, scissors, a ruler, hot glue sticks, and decorations. There are lots of different ways you can design the product so that it can look cute and exactly how you would like it. 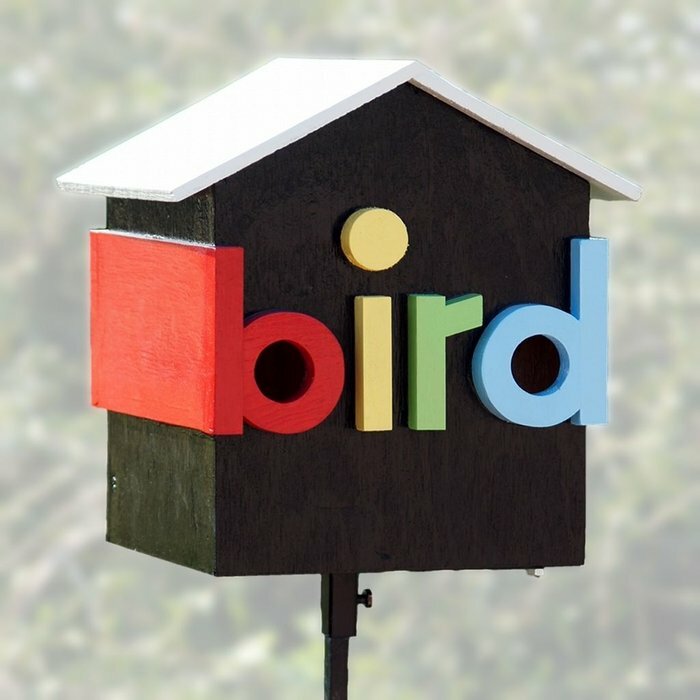 For this one, the person used a 3D printer to attach the word “bird” to the front of the house. The remaining instructions are similar to other ideas that we have mentioned before. After you have attached the letters, you can paint and design the house in any way you’d like. 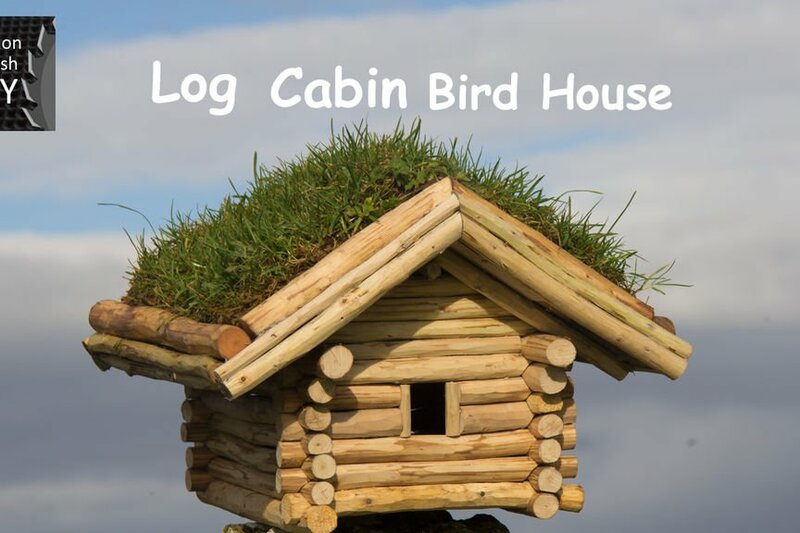 Let’s begin by defining what these simple bird homes are all about. 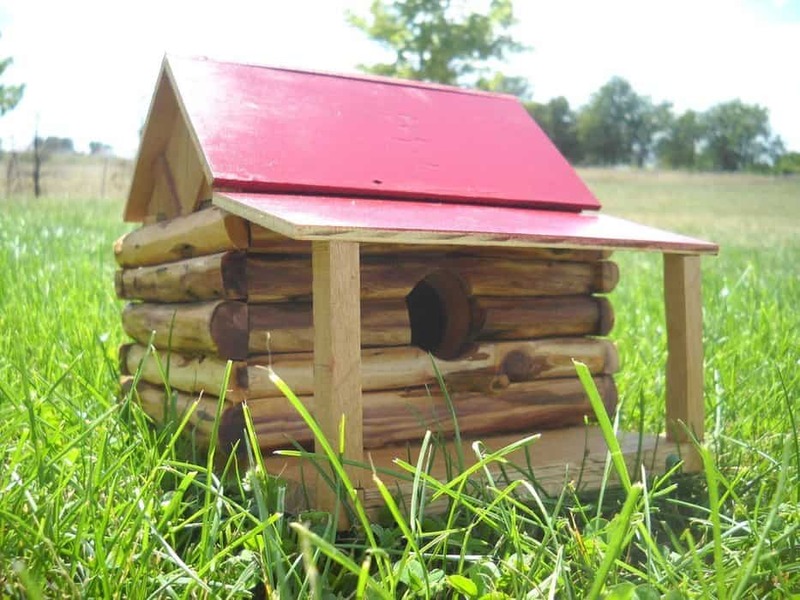 A birdhouse refers to a small “house” that is made for birds. It is put up in a tree or somewhere higher up that is going to attract birds. Whether it’s for Wrens, Bluebirds, Finches, Chickadees, window designs, simple setups or even more elaborate ones- there are lots of options. 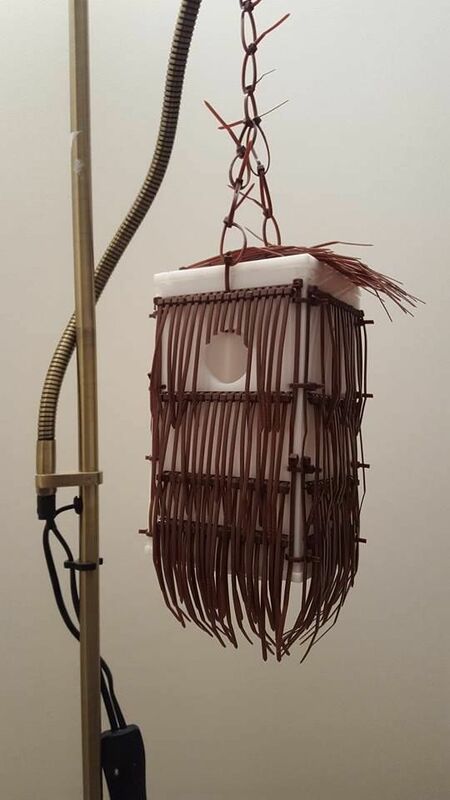 Property owners use this for a number of reasons including being able to direct birds towards one place instead of having them lounge on the rooftop or fence. What if it’s time to build your own at home? This is a project many property owners take up as it can be quite fun and welcomes a tremendous amount of creativity. As long as you are willing to put in the time, this is going to be a thoroughly entertaining project with so many options to choose from. Before moving forward, it’s important to set a budget and remain aware of how much it’s going to cost. For a traditional solution that is made of natural wood, it can end up costing $50+ to put together. In other cases, a person may want to go with a manufactured option and those can range in quality anywhere from $10-$1,000. There are so many directions a person can go in when it comes to this project. 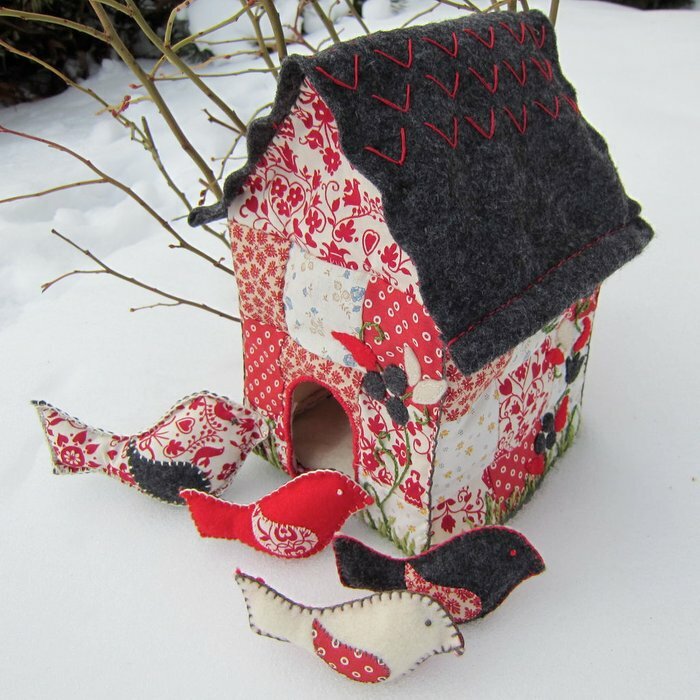 In some cases, a person may want to go with a regular shaped house that has a hole made for birds to fly in and out. This is a great option and still allows for creativity with regards to colors, patterns, and other similar details. Another idea is to go with a clear-body design, where everything is visible from the outside. This is ideal for those who want to enjoy nature at its finest and like the idea of being able to see how the solution is used by the birds. Maintenance is all about keeping an eye out and making sure it is holding up well from a physical perspective. In general, as long as the materials are appropriately put together, this solution isn’t going to fall apart. In fact, it will be able to hold up well once it has been put into place and is being used on a regular basis. However, it’s still important to inspect it from time to time. To properly maintain its body, you shouldn’t be afraid to give it a new coat of paint. Make sure this is done on a warmer day, so the paint is able to dry as soon as you want it to. It’s important to understand what needs to be done when it comes to keeping everything in good shape. One of the best tips a person can apply is to focus on the location and where it’s being set up. Too many times, the location is what leads to damage and ruins everything. Instead of letting this happen, you should look to have it in the appropriate nesting area for birds to happily lounge and enjoy themselves. Another tip is to make sure the fit is in line with the birds that will be flying in your yard. There are times where a great solution is put together only for it to not fit as well as it should. The final tip is to recognize how important it is to design it for outdoor conditions. Each part of the world has its own environmental nuances whether it’s dust in the Middle East or rain in England. These little details should be incorporated into the design phase, so the materials withstand whatever is thrown at them once everything is set up. Otherwise, it will break down and is going to be a wasted investment.